Our Catholic tours to France begin as we set out on a life-changing pilgrimage to the Marion Shrines of France, we’ll be reminded that the Blessed Virgin Mary often chose young and simple Christians upon whom to bestow rare spiritual experiences and miracles. This beautiful Holy Land will serve up many unforgettable gifts: magnificent basilicas, cathedrals and convents; renowned works of art depicting scenes from the Bible, the Trinity, and other religious themes; holy shrines commemorating Eucharist miracles and markers honoring the Saints who played important roles in the history of Christianity in France. At the grotto of Massabielle outside Lourdes, we’ll visit the Shrine of Lourdes where 14 year-old Bernadette Soubirous had the first of 18 visions of what she termed “a small young lady” (ua petita damisela) standing in a niche in the rock. In lovely Lisiex, we’ll visit the home of St. Therese, the Little Flower of Jesus, who at age 15 became a nun in the enclosed Carmelite community of Lisieux, Normandy. (The impact of her posthumous publications, including her memoir, the Story of a Soul, make her one of the greatest saints of the 20th century.) 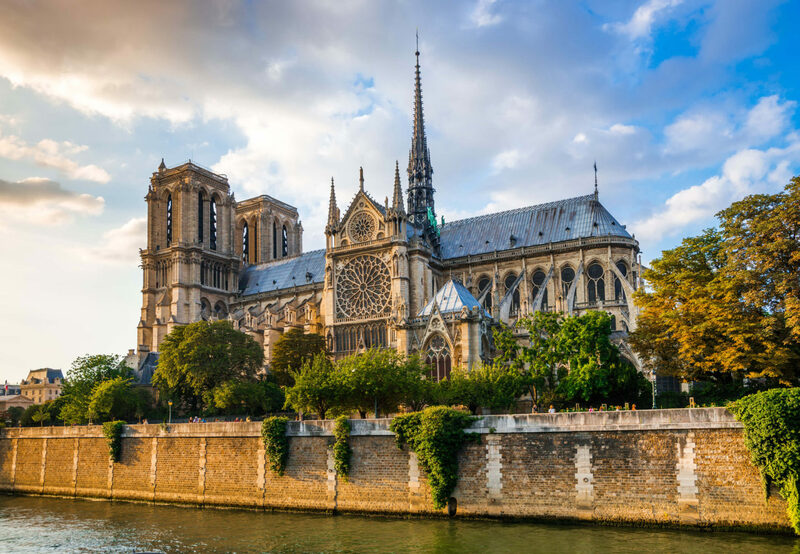 We’ll see vibrant, beautiful Paris, “The City of Light”, and thrill at such sights as the Notre Dame Cathedral and the Chapel of Our Lady of the Miraculous Medal, site of three apparitions of the Virgin Mary in 1830. And we, like pilgrims from other times, will find that the masses, meditations and holy communions we celebrate along the way will draw us together as a community, will enrich our lives immeasurably and will remind us of our blessings and the call to stewardship as followers of Jesus Christ.